If you are planning a trip to Rio de Janeiro, certainly you have included in your itinerary a visit to the Christ, the Redeemer statue, to the Sugarloaf and the wonderful beaches of Copacabana and Ipanema. Traditional destinations which are always popular. But if your goal is to get away from the classic itinerary, Rio’s North Side may be one of your destinations. 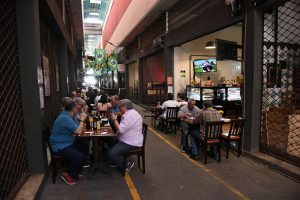 It is in Benfica, a neighborhood less than 10 kilometers from the financial center of the second largest city in Brazil, that Rio de Janeiro’s Mercado Municipal, also known as “Cadeg”, is located. The site, which is part of the city’s heritage, offers unforgettable experiences that appeal to both cariocas and tourists. 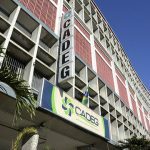 Founded in 1962, Cadeg holds 706 stores around its 100,000m2, where visitors can find domestic and imported products, such as flowers and plants, vegetables in general, fruits, cereal, codfish, dairy and beverages, among others. 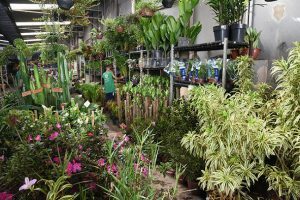 The market is the largest flower distributor in the state, selling, on average, half a million of them a month. It also has restaurants and cultural attractions. It is no wonder that it attracts, on a monthly basis, 10,000 people a day, creating about five thousand jobs. To go there, get a cab or use one of the private car apps. If you take your own car, parking is available. Life in Cadeg begins at dawn, when the flower trade begins. Trucks coming from producing areas, such as Holambra, in São Paulo, and shopkeepers from all over the state shake up the corridors since 3am. While deals are closed and the city awakens, all the other stores, bars and restaurants open their doors. 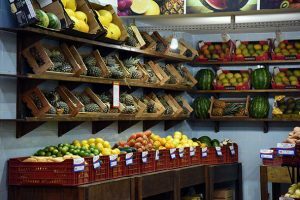 Through the corridors, it is possible to taste and buy several fresh tropical fruits. A great breakfast. But it is when you get hungry that your experience in Cadeg will be complete. 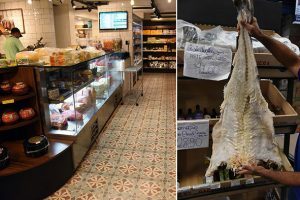 Today, the market became a gastronomic reference for the variety and quality of its restaurants, and, of course, for the well-known gastronomic festivals that have been taking place since 2013. The Codfish Festival spans throughout the month of November. The codfish, by the way, is another great highlight. Ordering codfish at the restaurants, i.e., some codfish balls or trying out more sophisticated dishes is the best thing. In fact, during November and December, the months that lead up to the holidays, the people swarm Cadeg after the products for the Christmas dinner. The most wanted? The codfish. On average, 20 to 30 tonnes of codfish are sold every month. This number increases considerably in December, when they sell around 300 tons of codfish. 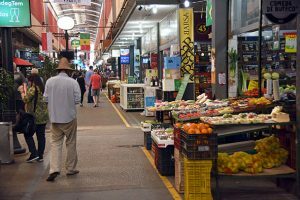 Enjoying a morning at the market or having lunch there is a big attraction that brings more and more visitors. As a result, investments in infrastructure and site security are permanent. Recently, Cadeg has signed a partnership agreement to install the largest photovoltaic park for clean energy generation in municipal markets in the world, in addition to installing gas generators fueled by biodigesters. This measure practically nullified the disposal into the environment.